I found this great inspiration on Style Me Pretty from SMS Photography. 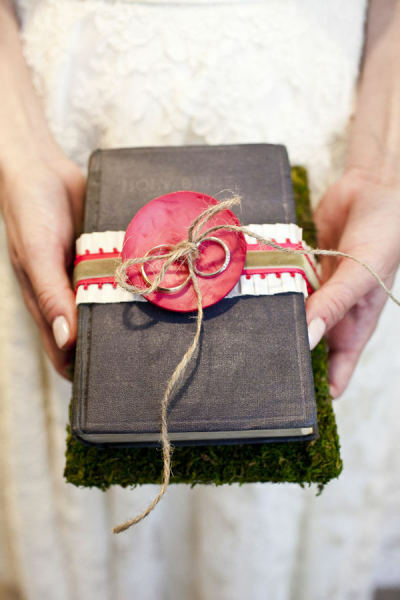 I am not a fan of the grass under the bible, but I love the idea of tying the rings around the Bible. Can you imagine how cute a little ring bearer will look carrying this down the aisle? ?